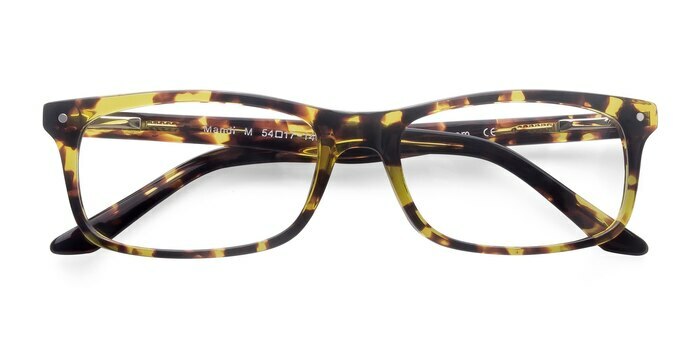 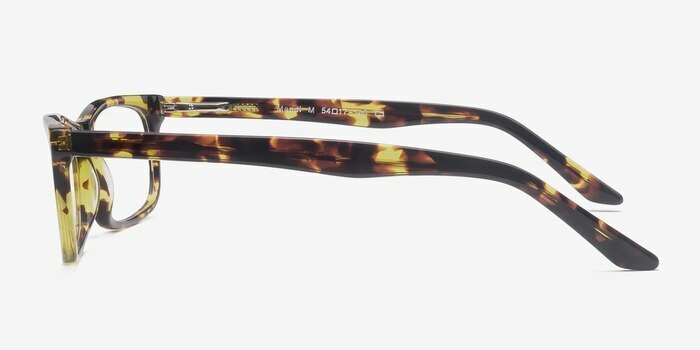 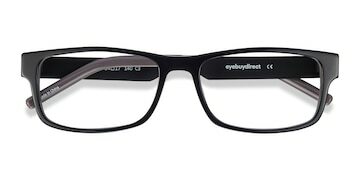 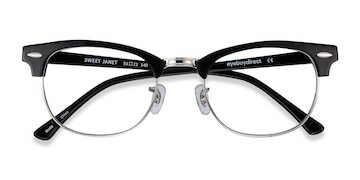 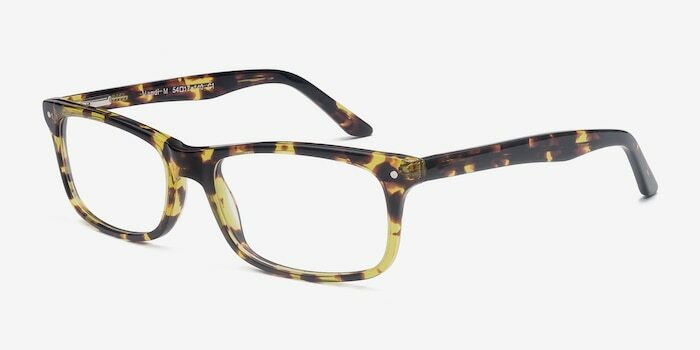 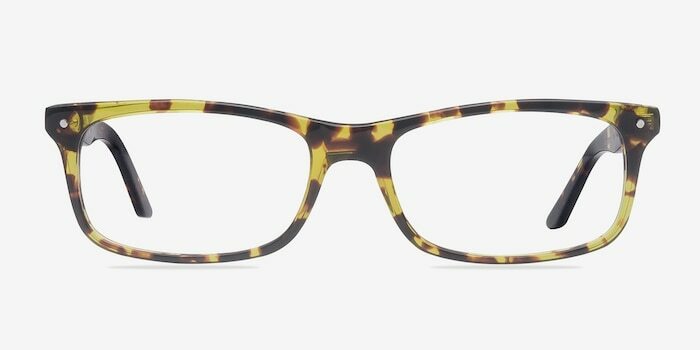 These tortoise eyeglasses are an instant classic. 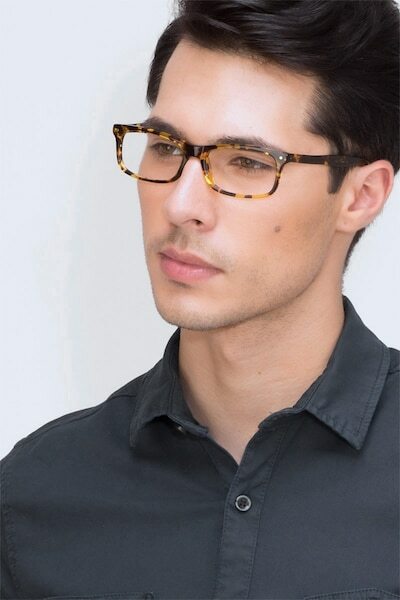 This polychromatic frame comes in a glossy semi-transparent tortoiseshell acetate with distinctive rectangular shaped lenses. 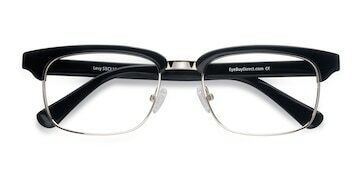 Single stud silver accents add subtle detail, while flexible spring hinges create a look that complements both men and women.